Our shop in Church Stretton has been trading since 1950 – and in the Pepper family since 1981. Nestled in the Shropshire hills, Peppers attracts customers from far and wide. 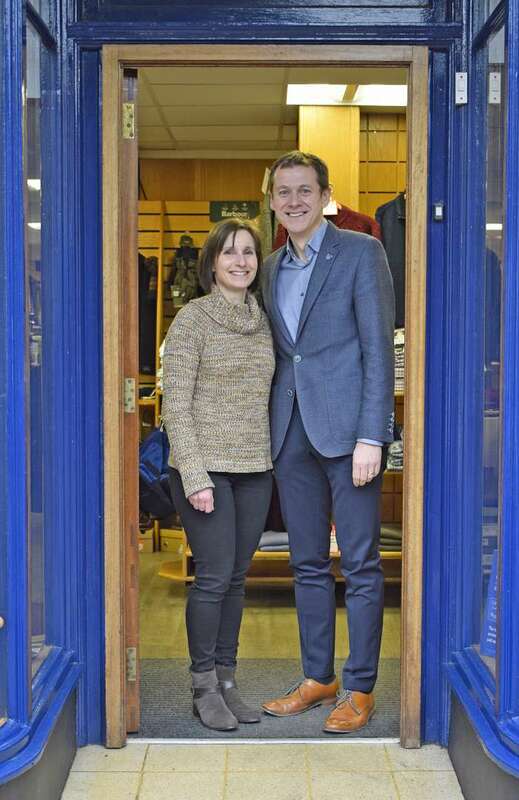 Richard Pepper manages the men’s department while his wife Laure is the boss on the ladies’ side of the business. The shop carries classic ranges for town and country in timeless styles, with the business ethos to offer garments that are better quality than what is to be found generally on the high street and yet that are still affordable. Church Stretton is a lovely place to visit anyway, so why not come and call in and meet Richard, Laure and the team at Peppers and discover the wonderful stock they have on offer. Website designed by Carl Jones Design. Website developed by The Web Orchard.